These will be numbered consecutively, with your name or online handle on the bottom left. Patreon backers will get the first numbers (it's around 42 right now) and then it will be first come, first served. There will be no charge for the cards. I'll send them anywhere in the world. 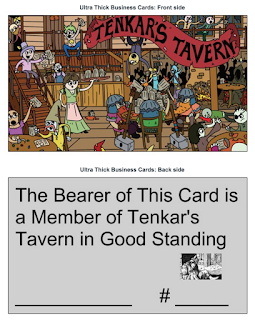 They're thicker than credit cards with a matte finish, so they should stand up to some abuse. 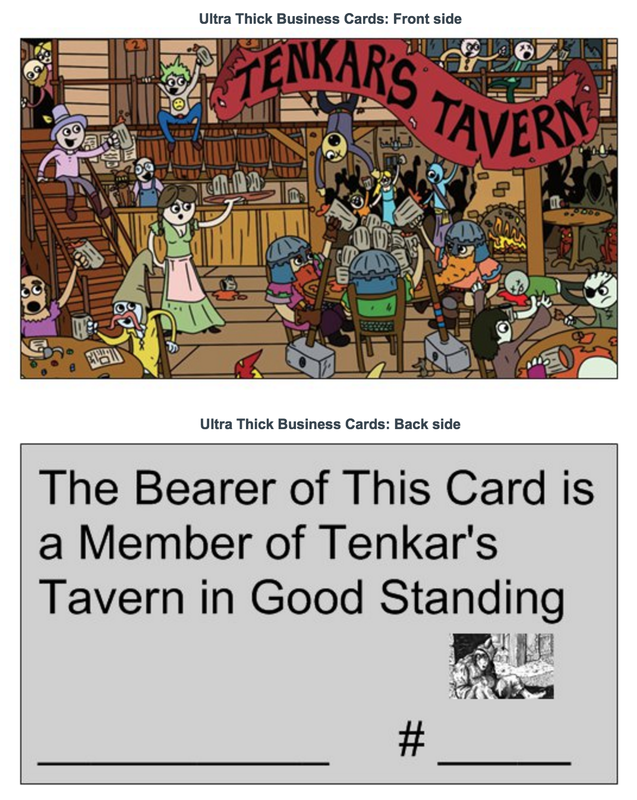 I was trying to figure out some way to say "thank you" to all the fine members of the OSR gaming community, and this just seemed like a fun way to do so. I should receive the cards in about a week. Do you have something we can toss on a blog sidebar? Do we get a discount on drinks with the card? Huzzah! This is so cool. What is the email I send the request for a membership card to? Thanks!